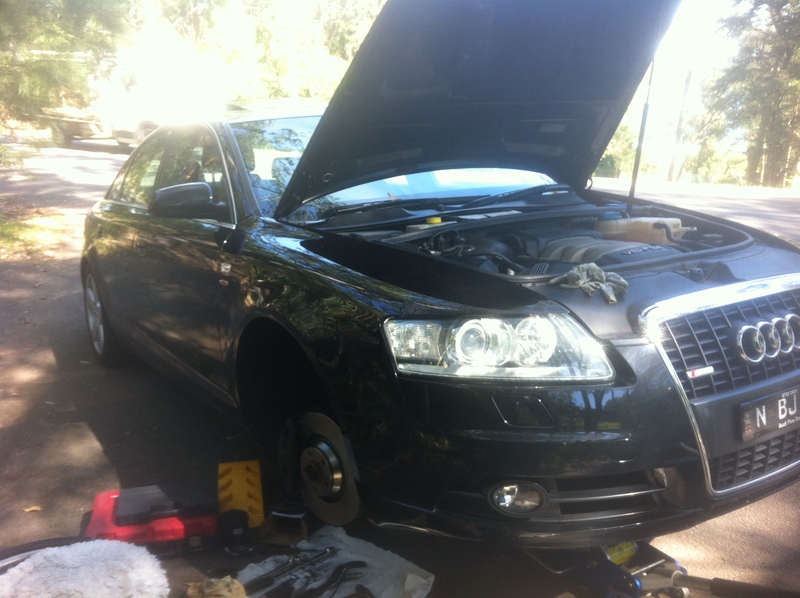 Audi A6 Front Brake Repair Toronto. New Bendix Euro Disc Pads and Sensors and New Big Front Rda Disc Rotors. One of the many returning customers to Newcastle Mobile Brake Specialists. Saved him some coin, brakes as new again.